Surprisingly not content to rest on their laurels, the governors of the Academy of Motion Picture Arts and Sciences (aka the Oscars) recently changed the number of Best Picture nominees yet again, after expanding the field to ten films two years ago. According to the new rule change, the number of best picture nominees will vary each year, from no less than five to no more than ten, the total determined by the number of films which receive at least 5% of first place votes from academy members during the nomination process*. 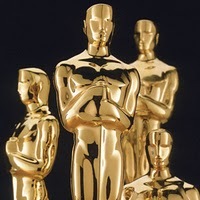 According to a survey the Academy did with the accounting firm which tabulates the votes, from 2001 to 2008 (before the category was expanded to ten nominees) under this system there would have years with five, six, seven, eight and nine Best Picture nominees (and, notably, never ten). It's hard to get too riled up, for good or bad, about this change, but it ultimately seems like the right kind of move. Unlike the previous expansion, which reeked of a desperate attempt to ensure that popular films would be recognized in the hopes of drawing a larger viewing audience to the ceremony, this change seems like an attempt to marry that philosophy with a more merit-based approach. Anything that moves us closer to recognizing films based exclusively on their merit is ultimately a good thing, and it seems like this process will ensure that whatever the number of Best Picture nominees, it will be the number the voting body truly believes to be the best of the year (which, of course, doesn't necessarily mean they ARE the best of the year, but at least what the majority of the Academy believes are the best). At the same time, it also injects a bit more suspense, drama and fun into the yearly Oscar race as pundits and prognosticators will no longer know exactly how many best picture slots will be filled. Much has been made lately of how the Oscars have seemed like a forgone conclusion, coming at the very end of a busy and packed awards season. While this change won't singlehandedly restore all the suspense and surprise to the ceremony, at least in the weeks leading up to the announcement of the nominations, it should make things more interesting, and there ain't nothing wrong with that. Hah! Your little post-script in this post was quite pleasing. Yeah, ordinarily I'd be like, "when the Academy changes something, it sticks! They HATE change" but now we've had two major rule changes (as opposed to the minor ones that change every year and no one cares about) in as many years, so who knows? I'm all for a meritocracy. This makes sense.